In the spirit of the summer months, I realized I had gotten away from my 9-5 roots and I hadn't posted many business casual outfit ideas. After reading Tara's post, I wanted to offer up a quick roundup of what I'll be wearing to work as summer slowly turns into fall. 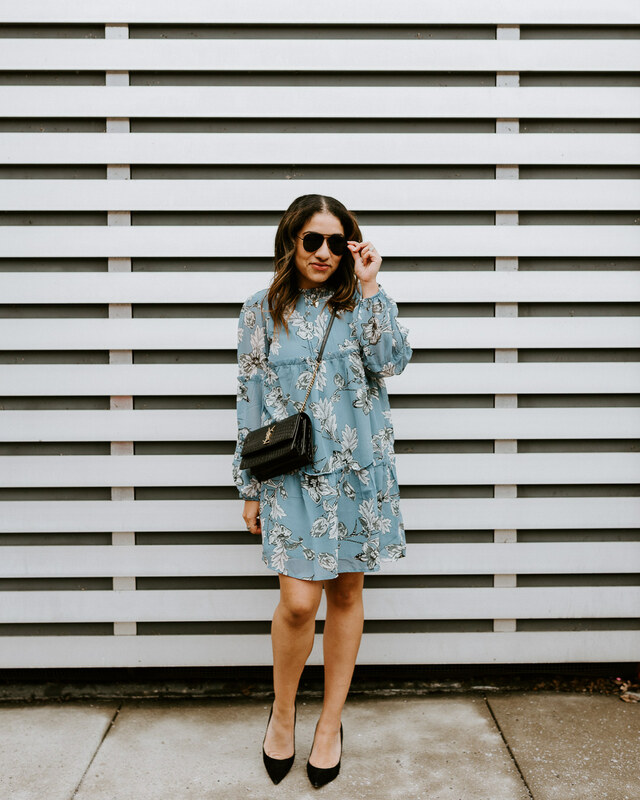 I organized this post by key closet staple to give you an idea of what my go-to pieces are when I'm dressing for work. Clearly, I love blazers and vests as a layering option. I hope this gives you some inspiration as the temps start to dip! Some people shy away from prints for work, but I think a printed dress is a power piece. 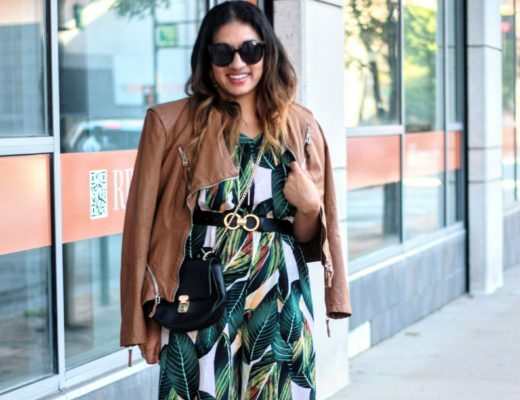 If you keep the accessories minimal/subtle, you can absolutely wear a printed statement dress to work. You can also throw on a blazer or tights with this to take you straight into winter. Pairing a more casual/fun skirt with a sleek longline vest is an easy way to take your closet from work to play. You guys know I'm all about versatile pieces, and a skirt like this can go from desk to drinks easily. I'm also a tad obsessed with this vest! The extra layer can provide some warmth, too. A crisp blazer is one of my favorite ways to transition looks when the temperature gets a little colder. They're also perfect if you work in a cold office. I love my go-to black blazer paired with this top and skirt. I felt like I could command any room in this look! It took me a while to get into culottes, but once I dove in, I loved them. This navy pair is more full and actually looks like a skirt! I also have a blush pink pair that I adore. 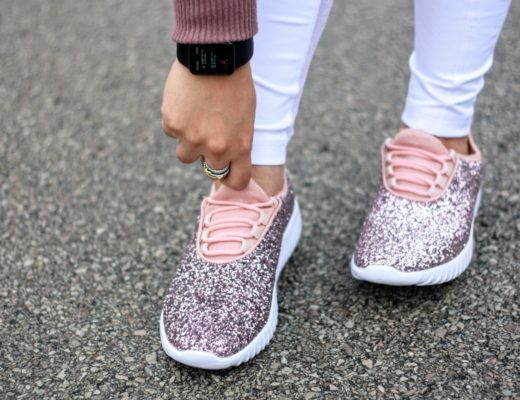 These are great for work because they're super comfy! There's no better feeling than feeling like you're wearing pajamas at work, amiright?! Much like a blazer, I love adding a vest to elevate an otherwise basic look. I've worn this vest SO much since I got it and I have no plans of stopping. I threw this on over a simple gray dress and it immediately took an otherwise basic outfit and made it look professional. I love the idea of the long line vests! aren't they so chic! obsessed! So many cute looks!! Love that white vest! I love your long vest picks! I'm really digging this look for fall + it looks great on you! The white heels are so chic! Thanks! Definitely a closet staple! Love the layering looks! I need to get my hands on a long vest!! These all look great! I really love that long vest, so chic! thank you! and thanks for the inspo!